» Andy Doubrava garnishes the restaurant’s signature thrice-cooked yam dish with the leaves of Girl & Dug’s highly salinic ice plant. » Nyesha Arrington’s grilled Flannery beef dish uses Choi’s Thumbelina carrots from root to leaves. The tops are made into a zesty chimichurri, the bottoms are brined and finished on the grill, and the peels are fermented—a triple-carrot punch. » The seasonal first course at Niki Nakayama and Carole Iida-Nakayama’s kaiseki restaurant, might pair Girl & Dug’s tart butterfly sorrel with roasted carrot puree and scallop tartare. » Choi grows chocolate mint to a specific size for chef Dave Beran, who uses it in a tom yum-inspired soup. 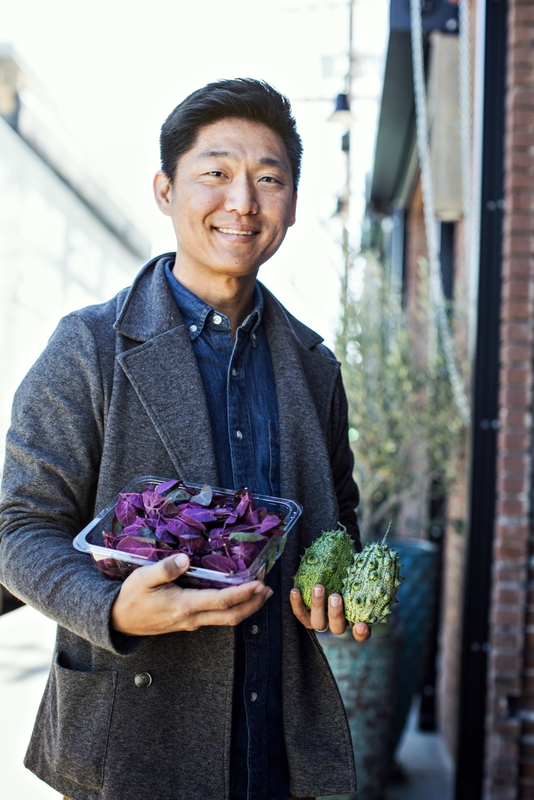 Beran estimates that he uses Choi’s produce in 13 of his 21 dishes. » Jessica Largey throws Choi’s citrus fern into her restaurant’s sturgeon dish, which also features maitake mushrooms, yarrow leaves, and yuzu zest, to reinforce the dish’s flavors. 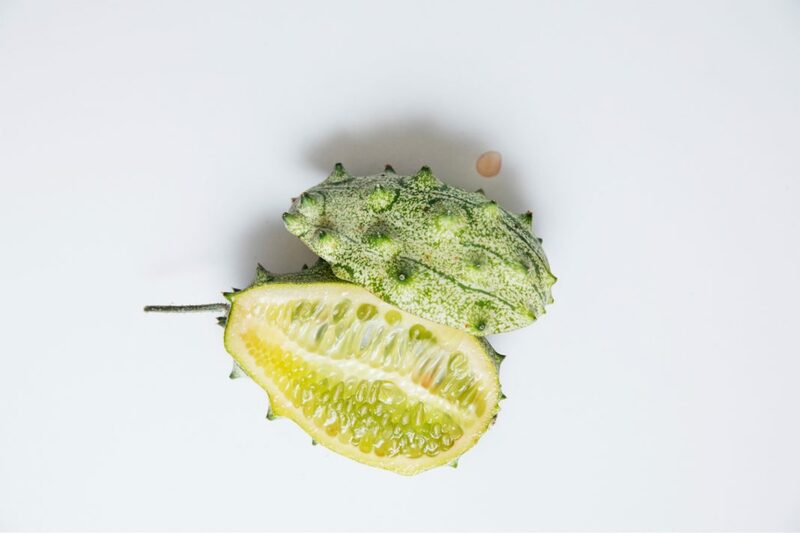 » As part of his tasting menu, Aitor Zabala pairs the seeds of Girl & Dug’s jelly melon cucumber with organic caviar from Russia. “You’re getting the seeds of the fish and the seeds of the land,” he says.